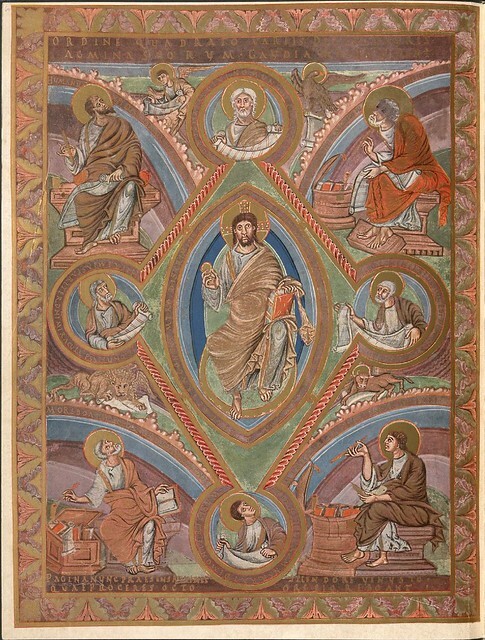 This parchment manuscript was produced in 879 AD in north eastern France and features the Gospels of Matthew, Mark, Luke and John in Latin. 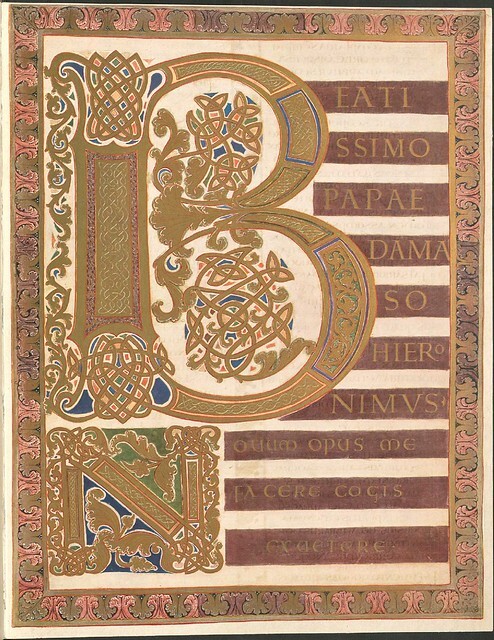 It was made for the Holy Roman Emperor, Charles the Bald. 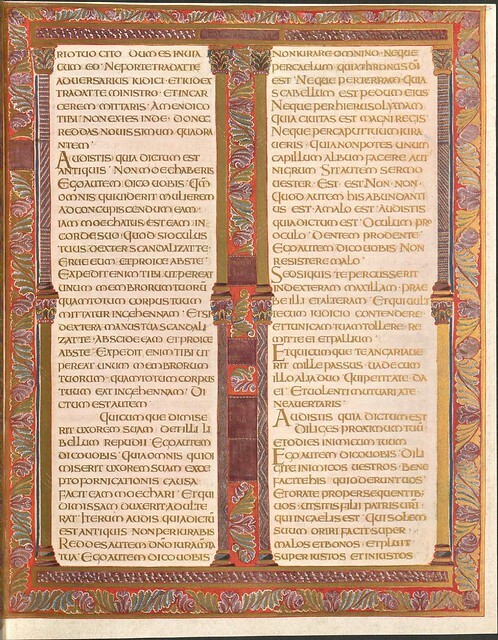 The copious decoration is undoubtedly the work of at least three book artists - of varying quality - and is influenced by or modelled after earlier Carolingian manuscripts and designs from a number of major French centres. 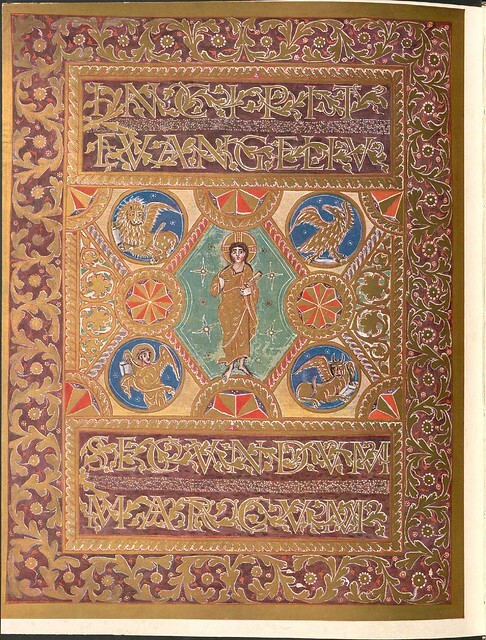 Evangeliar (Codex Aureus) - BSB Clm 14000 is onine at MDZ (click 'Miniaturansicht' for thumbnail pages). 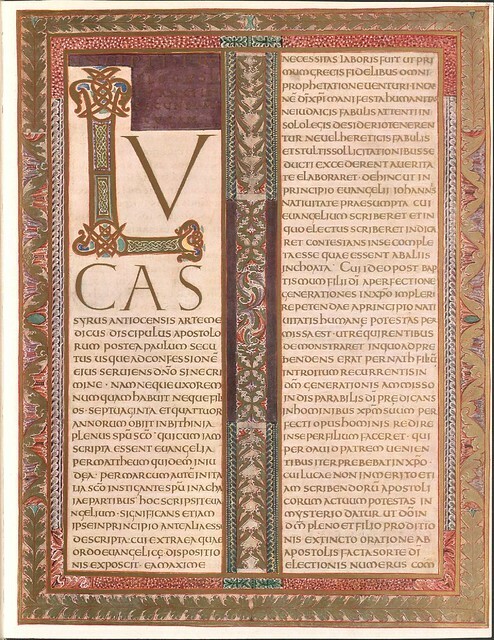 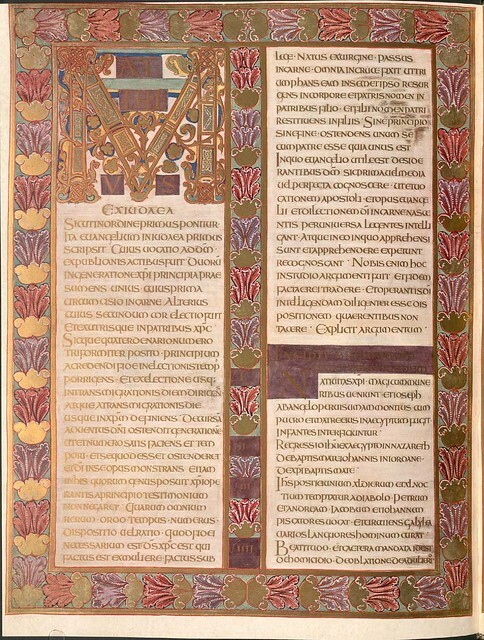 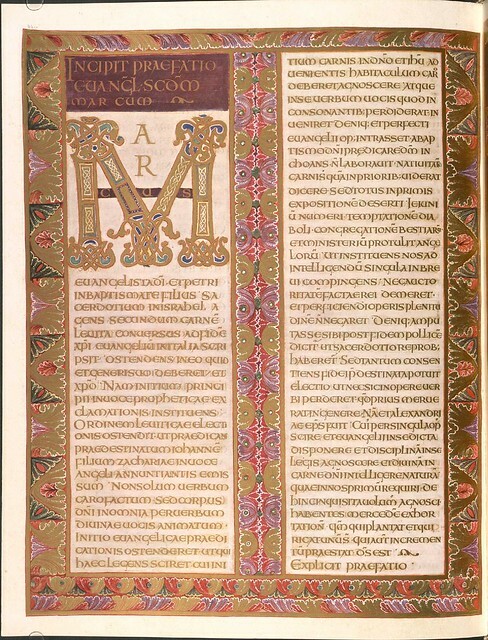 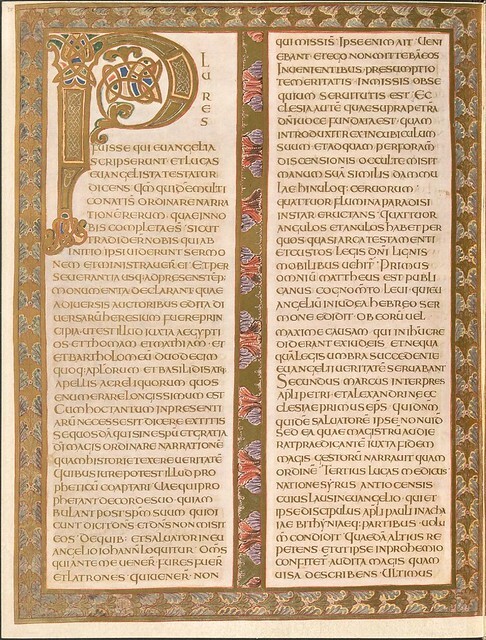 1Codex Aureus of St. Emmeram. 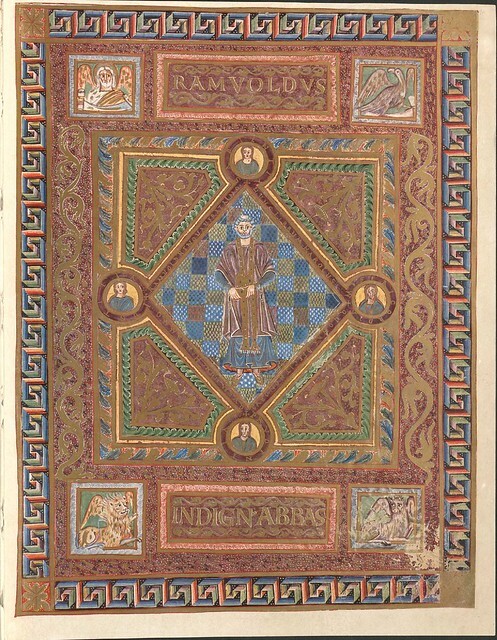 Charles the Bald | Charles the Bald. 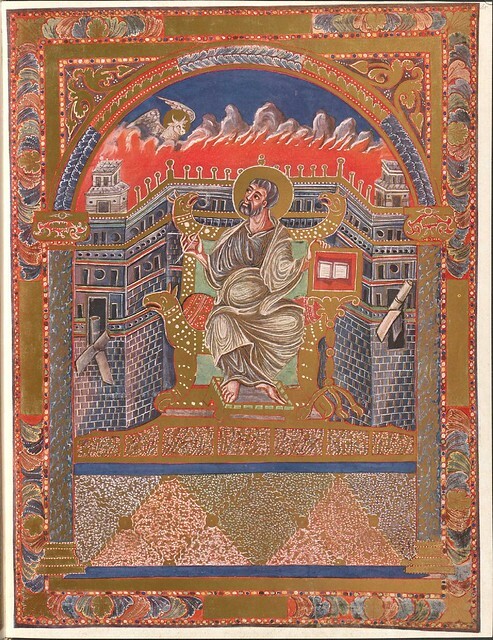 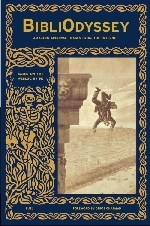 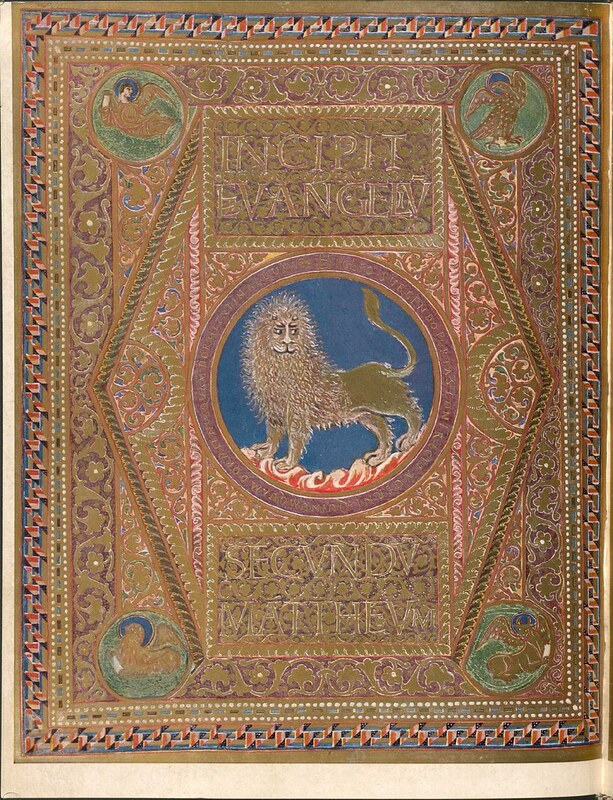 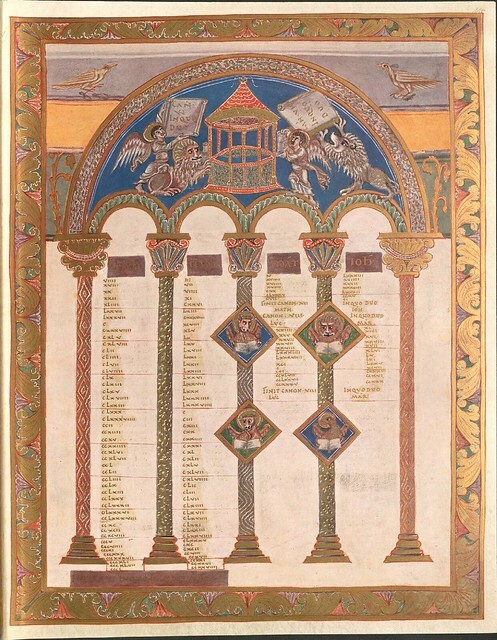 Major works of Carolingian illumination (Translation).